You acquire several keys with a total face value of 2500 rubles. ATTENTION! 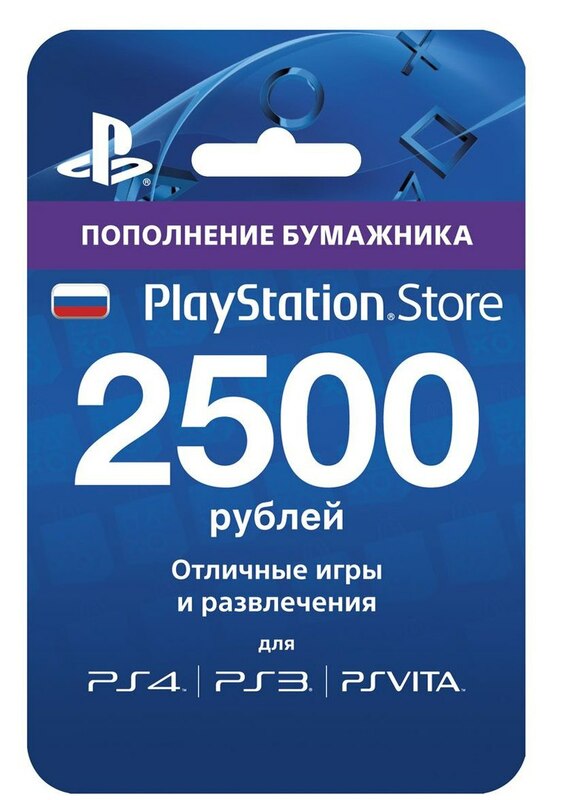 This card PlayStation Network is only suitable for Russian accounts (region of Russia). ATTENTION! This card is for Sony PlayStation 3 (PS3); Sony PlayStation 4 (PS4); Sony PlayStation Portable (PSP); Sony PlayStation Vita (PS Vita). - We do our job honestly. Positive feedback helps the development of the project. - The product is original. - The code will not be revoked or blocked. - Growing BL = trust of our customers. - Experience in the market of digital electronics and IT equipment for over 9 years. Enter your ru.playstation.com account (or register a new one) → Login to PlayStation Store → Select the “Redeem Codes” option (for PS Vita, you must select “Parameters” at the bottom of the screen) → Enter 12 digits of the promotional code and click “Continue” → Follow the on-screen instructions to clear your code.